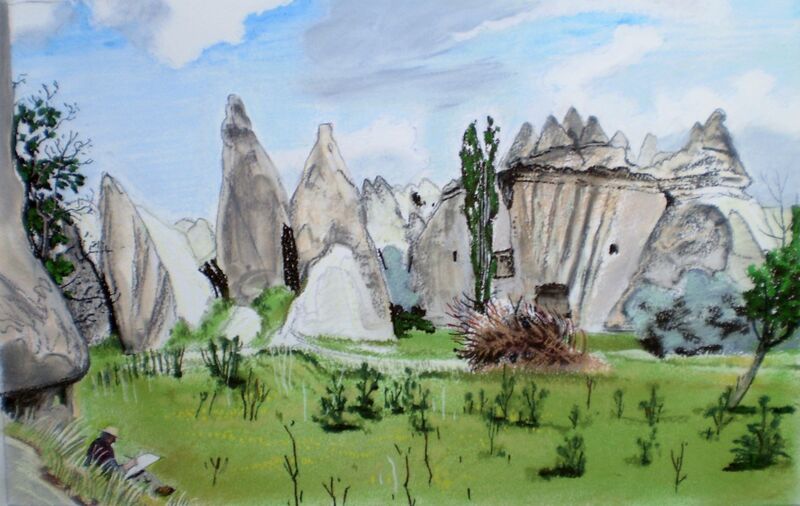 In May 2012 I was in the village of Mustafapasha with two painter-colleagues. 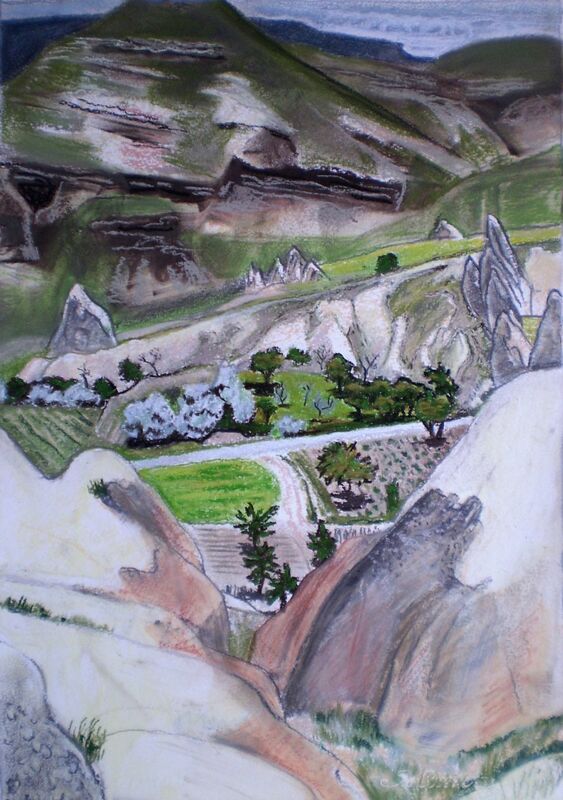 We painted and drew the valleys, gorges and rocks of the tuff landscape of Central Turkey. 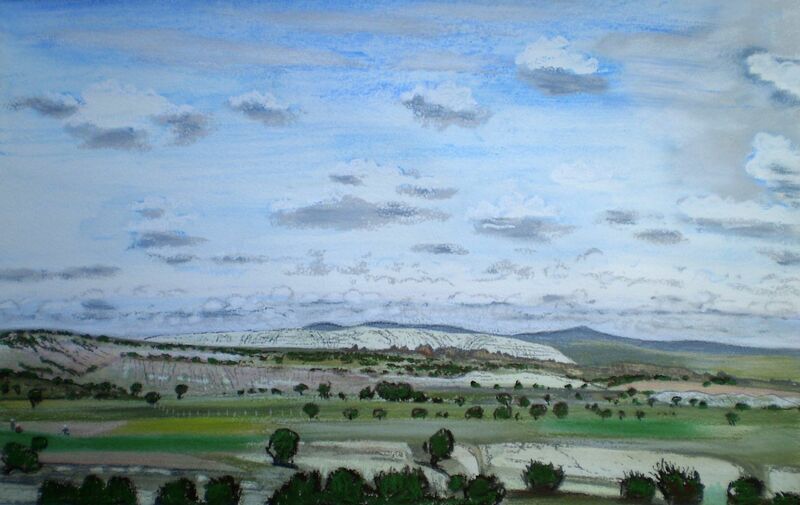 Small fields, pastel 44 x 30 cm. Balloons, pastel 30 x 47 cm. 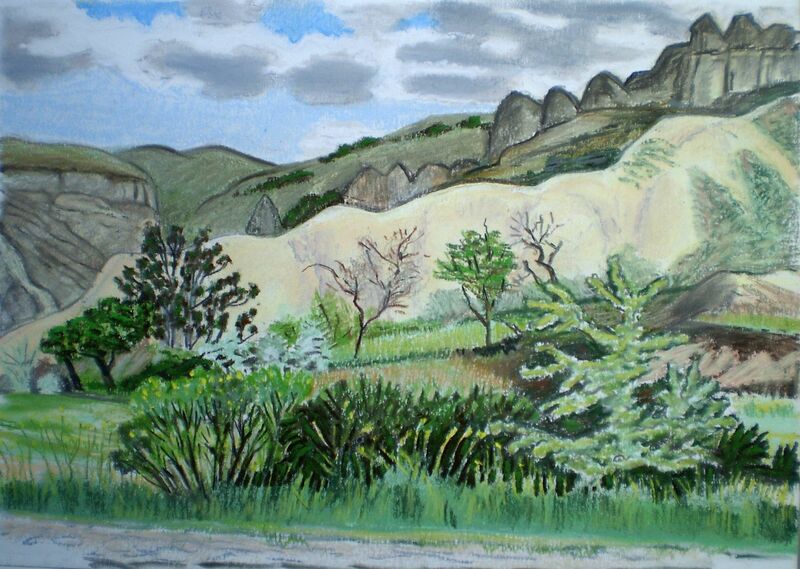 Gobis valley pastel 47,5 x 30,5 cm. 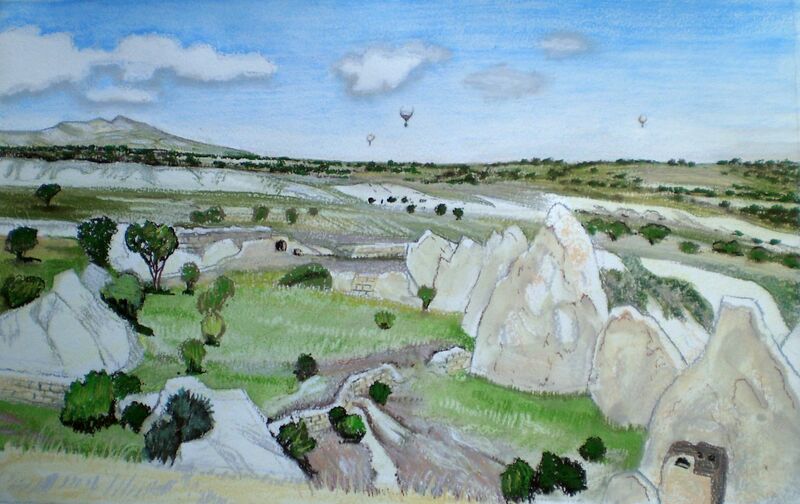 Gobis valley, pastel 47,5 x 30,5 cm. 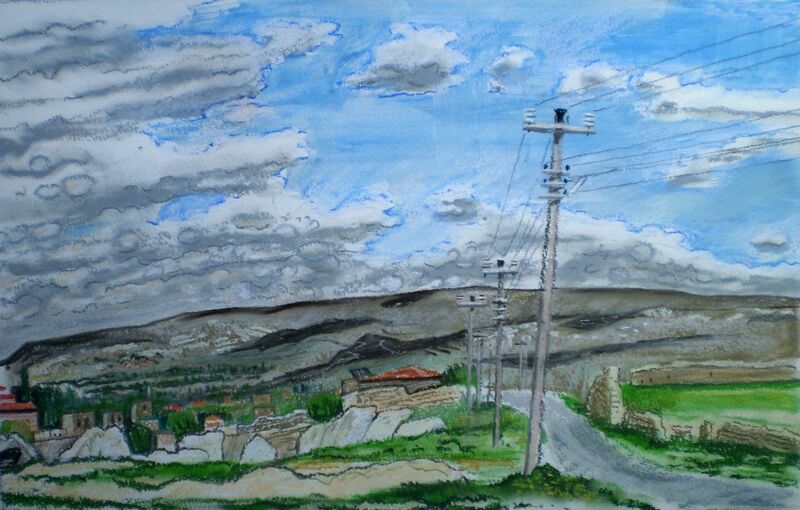 Manastir valley pastel 20,5 x 48 cm. 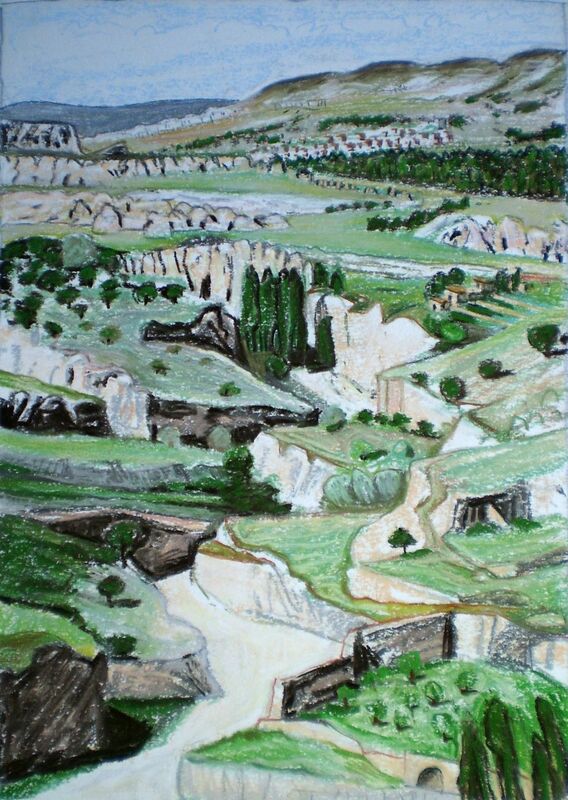 Manastir valley, pastel 20,5 x 48 cm. 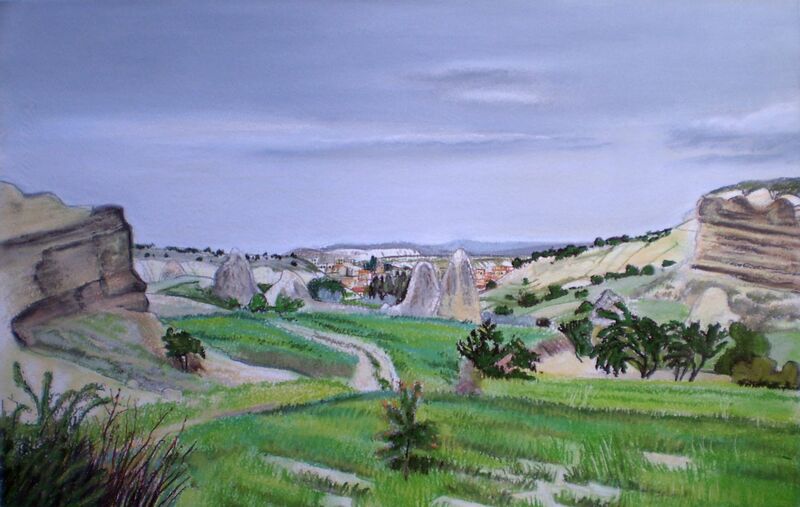 Manastir valley, pastel 30 x 48 cm. 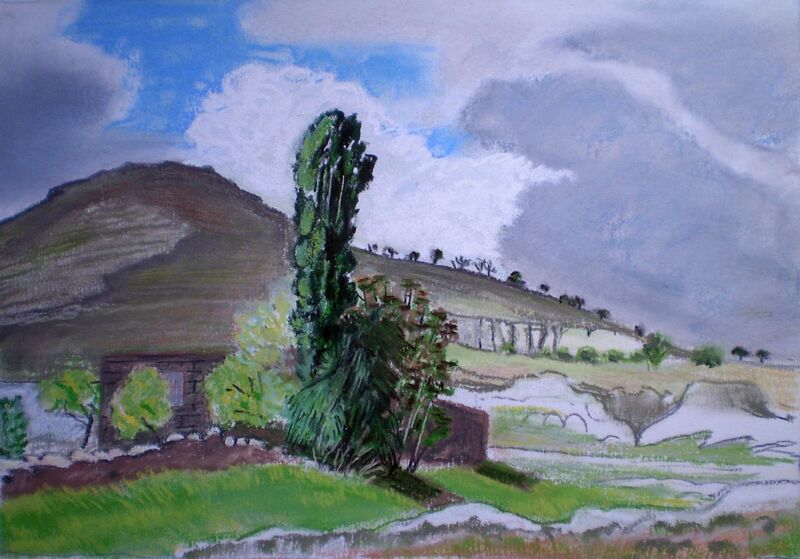 The poplar tree, pastel 23 x 33,5 cm. 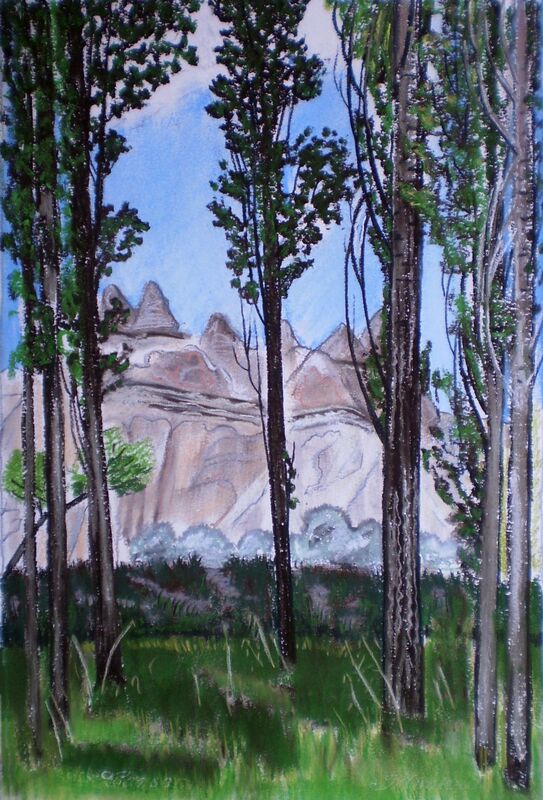 Poplar trees, pastel 48 x 30,5 cm. The draughtsman, pastel 30 x 48 cm. Valley, pastel 24 x 34 cm. The road, pastel 29,5 x 47 cm. Highland, pastel 30 x 48 cm. 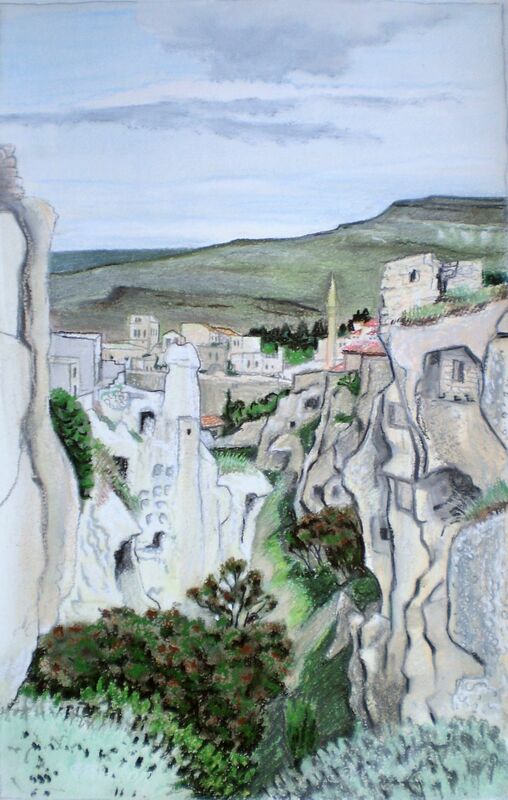 Gorge from above, pastel 33,5 x 23 cm.